I'm always happy to see the peony buds overrun with ants. It means the blooms aren't far behind! This is a cool shot! The peonies and the ants have always fascinated me since childhood. Thanks for a great picture that brought back memories from many years ago. soooo funny. 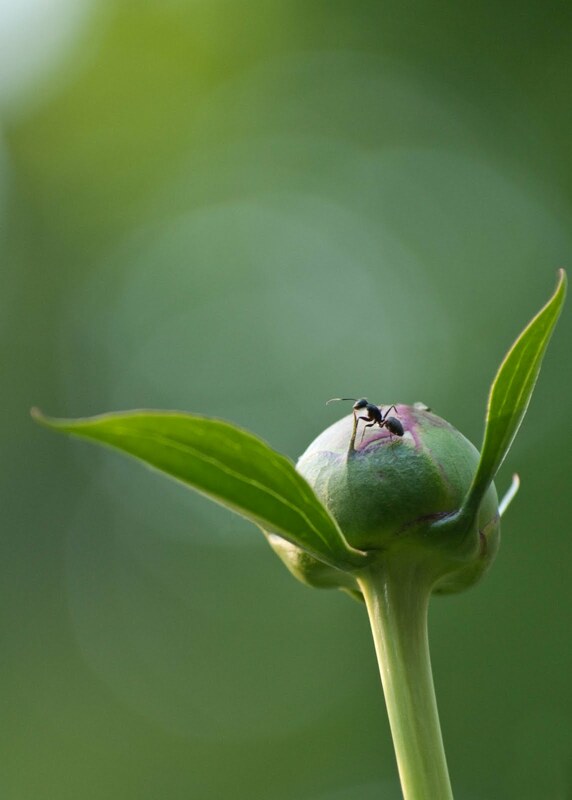 i came 'this close' to having an ant/peony post today. good thing too, your shot woulda probably been better! well done. Destiny, thanks for stopping by & saying hello. My camera is a Pentax k-7, and I shot this photo using the Pentax 50-135mm lens... which is fast becoming my favorite lens. I use photoshop sparingly, for basic editing. That being said, I think great photos can be made with any camera, and I highly recommend taking a class to learn how to get the most from whatever gear you have!